Nursery have been very busy this morning making pizzas in the shape of gingerbread men for our ‘Marvellous Me’ topic. 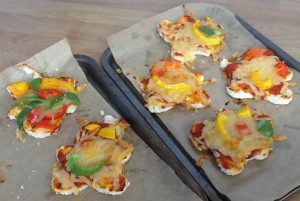 We used tomato and herb pizza topping and cheese followed by chopped up peppers for the eyes, nose and mouth, one child even gave their gingerbread man eyebrows! 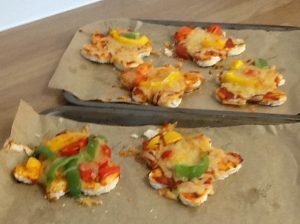 I am sure you’ll agree they look very tasty!